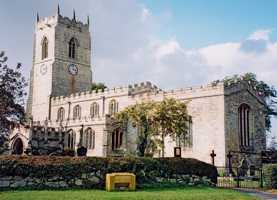 The church of East Drayton was in the possession of the Chapter of York at least by the end of the 12th Century. Architecturally, the oldest part of the church dates from the late 12th Century with 13th and 15th Century additions. The North arcade is 14th Century early Decorated while the South arcade is 15th Century Perpendicular. Having survived being in “an evil plight” in 15th Century, the chancel was restored by the Ecclesiastical Commissioners in 1857. The nave and aisles were restored by public subscription in 1873.